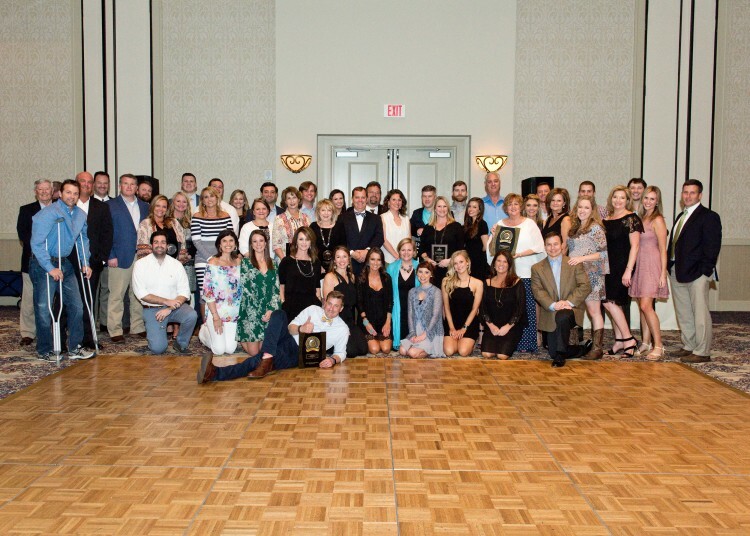 This past month, Berkshire Hathaway HomeServices Preferred Real Estate celebrated a record-breaking year of real estate sales and service in the Auburn-Opelika market, with more than twenty BHHS Agents receiving national recognition for exceptional sales performance. Additionally, the company as a whole was awarded two Round Table awards, recognizing Berkshire Hathaway HomeServices Preferred Real Estate as the #1 office in the South Region in sales performance categories. And a celebration it WAS as agents, support staff, friends and family gathered for the Annual Awards Banquet at the Marriott at Grand National. Everyone enjoyed a delicious meal, awards presentations and, of course, dancing. See a complete run-down of the award winners from this fun evening HERE. Part of Berkshire Hathaway’s success is because of the company’s continued commitment to the community they live and work in. This month, as the Presenting Sponsor of the East Alabama Fellowship of Christian Athletes’ Family Golf Tournament, Berkshire Hathaway HomeServices Preferred Real Estate helped raise thousands of dollars for the work that FCA is doing in middle schools, high schools and colleges throughout East Alabama. A large group of agents were on hand in the morning to assist with check-in and registration. During lunch, Berkshire Hathaway HomeServices Preferred Real Estate agents got the inside scoop on this year’s AU Football team from Coach Gus Malzahn. Afterwards the Berkshire Hathaway HomeServices Preferred Real Estate crew served Steel City Pops to Auburn sports celebrities and sponsors throughout the tournament. 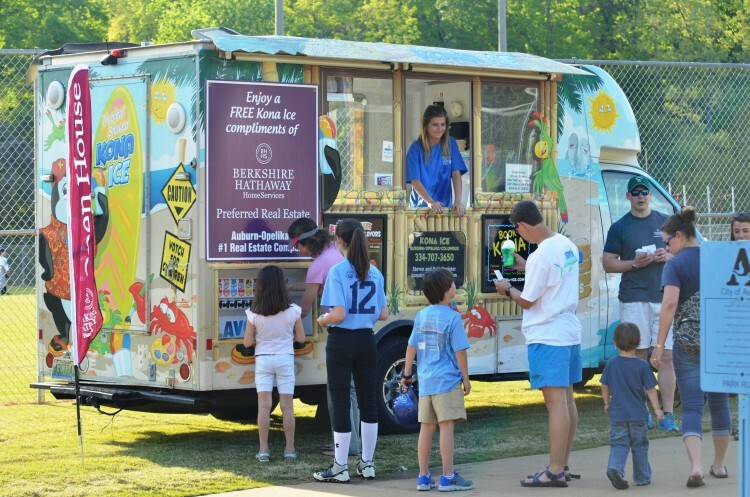 With little league baseball in “full swing” this year, Berkshire Hathaway HomeServices Preferred Real Estate is excited to continue their tradition of providing free Kona Ice for players, parents and fans at select Duck Samford Baseball complex games. Look for the Kona Ice truck with distinct Berkshire Hathaway branding and see one of the award-winning BHHS agents for a free coupon. If your plans include buying or selling a home or other real estate in the near future then get in touch with Auburn’s most trusted and most awarded real estate company – Berkshire Hathaway HomeServices Preferred Real Estate.